Updating your kitchen is quite a venture and one that should not be taken lightly, since it’s something you should only need to do once or twice in your lifetime – because you should love the results so much! 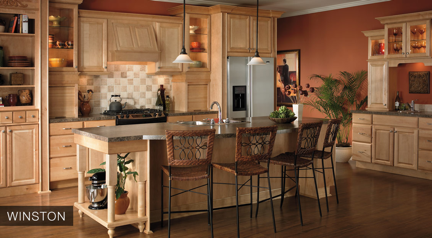 Realistically, kitchen remodeling requires a lot of consideration and thorough planning. Whether your kitchen is cramped, really outdated, or needs smarter storage solutions – the good news is that kitchens can actually give you a lot of creative freedom to achieve that look and functionality you desire. Open floor plans that extend into dining spaces provide a contemporary look and feel. Maybe you’d like to add a kitchen island and in this way extend your space, or maybe you’re ready to completely transform the layout of the area and turn it into a luxurious, sophisticated kitchen? Consider the style, design and functionality you’d like, and then have our specialty designers and qualified installation teams help you turn your dream into a reality. Kitchen cabinets are an integral part of an effective kitchen, bringing sufficient storage, the right look and feel to match the rest of your house. 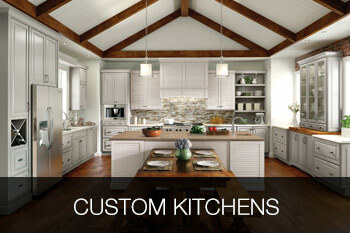 Custom kitchen remodeling brings plenty of storage and workspace, as well as the stunning look. So before you embark on a journey of kitchen remodeling, consider what type of cabinets would really compliment your kitchen and home well – think about the style, material, color, etc., and if you’d like your cabinets to be custom built or refinished. Give any kitchen, even an old one, a spectacular facelift with new countertops – whether it’s just a remodel or a new construction and installation of custom countertops. Just like with cabinets, it’s essential to consider the material, look and color of the countertops you’d like to see in your kitchen. 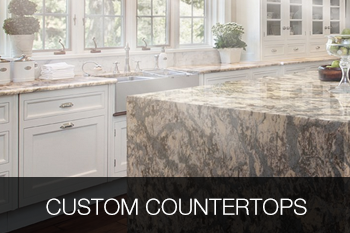 Bowers & Lobeck Inc.’s specialists can assist you in selecting the most fitting countertop, based on your needs and wants, from our highest quality handcrafted countertops. Think about the color scheme you’d like to see in your kitchen and dining area, keeping in mind the rest of the house and the overall style. You can go for a monochromatic look, or for a bolder and vibrant look with multiple shades of walls, along with a dash of tasteful and elegant artwork backsplashes. The floor lays the foundation for style and function, so carefully consider your needs, lifestyle, and the rest of the house as far as the design before choosing the right surface for your kitchen. Kitchen is a busy spot, and floors need to be able to withstand foot traffic, some dropped dishes, and usually a lot of spills, as well as allow for your style to shine through. 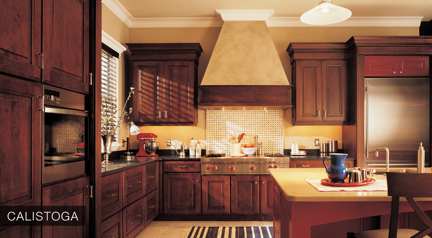 Finally, the lighting can tremendously affect the functionality of the kitchen and the atmosphere of the space. 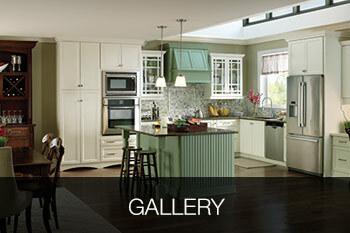 Still, it is often overlooked in kitchen remodeling projects. Something to consider is layering lighting in the kitchen area – it should illuminate under cabinets and over work areas, provide light over the island or a bar area and give cabinets a glow. If you wish to accent and highlight something, use recessed adjustable fixtures and track lights. Or, if you prefer decorative lighting to add interest to a space – opt for chandeliers and candlestick-type wall sconces. So, regardless of your personal taste, we can all agree that the kitchen is the hub for family interaction and activity, and of course we want it to be efficient and visually attractive. 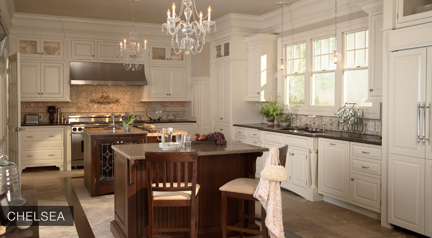 Your custom kitchen from Bowers & Lobeck Inc. will blend latest technology with quality materials and attractive design, and with your personal touches – your new kitchen will truly be one of a kind. 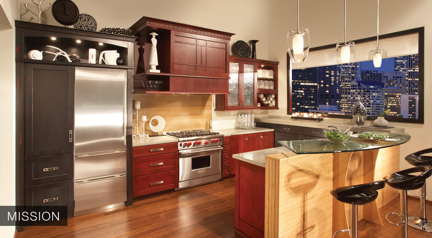 At Bowers & Lobeck Inc., we are very proud of our kitchen designs selections, and for the last 23 years we have been helping many customers get their dream kitchens in their first, second, and final homes at a reasonable price. 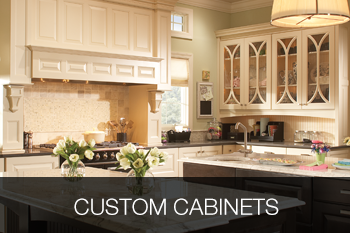 Start browsing all the different designs for your custom kitchen remodeling in Lancaster, PA today.